Friends of Scholastic Crew Inc.
Friends of Scholastic Crew is a community organization working to foster and further the interest of scholastic rowing in the Greater Rochester Area. 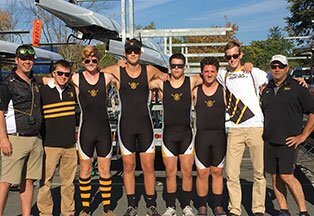 We are a 501(c)3 organization made up of, and run by, people interested in crew and families with rowers from McQuaid Jesuit. 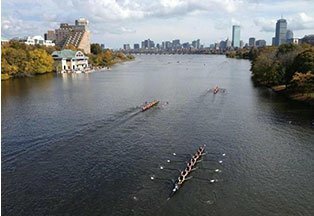 Friends of Scholastic Crew serves as a legal, collegial conduit to raise funds, raise awareness, provide equipment and boathouse space, and foster the communication necessary for athletes and their school to participate in competitive scholastic rowing. Since 2003, through the tireless effort of the community it serves, Friends of Scholastic Crew has been dedicated to elevating crew to the forefront of scholastic athletics and making it accessible to all students. As a non-profit organization, we have been supported and maintained by the volunteer work and contributions of many selfless individuals and families. Whether you’re a student athlete looking for your next big challenge, or a parent or community member interested in making a difference, learn more below about our organization and how you can get involved. It takes the help of so many to bring our mission and vision to life. Meet the leaders of our organization, from the coaching staff to the board of directors. These people bring energy, enthusiasm and high levels of dedication to the table every day. Whether it’s a practice or workout time, a special camp being offered, or the regatta schedule you’re looking for, it’s all right here. 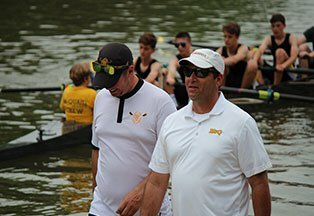 Just click to find everything you need to know about the dates and times of important McQuaid Crew events. Crew isn’t just healthy…it’s a lot of FUN too! If you’re wondering how much, then you’ve found the right place on this website. We could tell you, but, instead we thought we’d let a picture paint a thousand words. See for yourself the fun we have. Friends of Scholastic Crew exists because of the generous contributions of so many people in the community who support us and the student athletes we serve. Currently, there are three ways you can support FoSC. Click here to find out more about how you can help. One of the great aspects of McQuaid Crew is the community we build by having our entire team share meals together. In order to make this happen, we ask each family to volunteer for a hospitality duty. Learn more and sign up for hospitality duty here. If you’re joining the team or supporting it, this is where you’ll go to download any informational forms or registration materials that may be required for signing up and making special requests. Click to learn more and access those forms here. Crew is all about teamwork. In this sport, you’ll make great friends, but you’ll also learn a multitude of skills that are vital across every aspect of your life. Not only will you get a total-body workout and improve your health by joining the team, but you’ll also build confidence, and learn to work well with others. Crew reinforces the importance of responsibility, accountability and leadership. It can even help you get into college, as many good schools are looking for students who are ready to handle the many challenges of life. Rowing presents a chance for you to prove your readiness to tackle those challenges.